In 2010 Google launched Google Places. 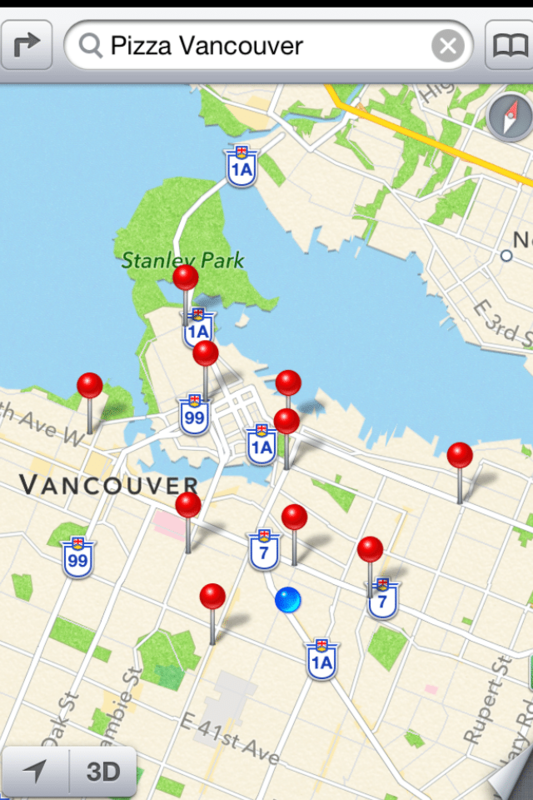 A feature where businesses big and small are able to list their company details which will show up in Google Searches, Maps and +Local when searching a good or service such as “Pizza Vancouver”. Having your business verified on Google Places is quick and easy, and for small businesses in particular it is a crucial piece of marketing to ensure your company is in front of consumers. Leveraging any free marketing your business can get is crucial and Google Places is a great place to start. Utilizing Google Places is a form of SEO, which, if you are unfamiliar, is a daunting prospect with so many variables and constant changes. With Google becoming a verb (“I will Google it”), being seen Google is a huge benefit and getting on Google Places is something you can implement today (https://www.google.com/business/placesforbusiness/). Google says that 97% (http://www.google.com/business/placesforbusiness/free-features/) of consumers search for local businesses online, and with the internet accessible to virtually everyone it is not hard to see that having a presence on the internet is important. While small businesses are very unlikely to ever to be seen for general terms such as “hairdressers”, the chance of being in front of people when they search “[location] hairdressers” is high with Google Places taking up significant portions of the 1st page on searches. 74% of local searches (http://screenwerk.com/2012/10/05/report-74-of-googles-local-search-volumes-coming-from-mobile-devices/) come from mobile devices, with no Google Places presence; you are doing yourself a huge disservice. Inaccurate details are a major turnoff for any consumer who has shown any interest in your business. Phone books use to be the go to place for information, if you submitted your ad to be published in the phone book you would proof check it six times. Well, the algorithms within the Google universe are so complex that they may automatically place your company into Google Places with information gathered from across the internet. However, there is every possibility that the information is incorrect. If so, people may be trying to contact you on the phone, via email or in person and you would not even know. Your competitors they can get in touch with do not mind. When you see how easy it is to create a Google Places account, the natural instinct may be to manipulate the information for your company so that you show higher in related searches. However Google will catch you out and you may be penalised, which could lead to the demise of your business. If you want to maximise Google Places value, add photos, your opening hours and email addresses. All these, give consumers more access to you and allow them to get to know you better. It is clear that Google Places is playing an important in everyday life of consumers and with businesses often facing small marketing budgets, this is a quick, free and actionable first step in getting your search engine optimisation rolling. Google Places is the new Phone Book, it is a must for your business and with a little effort the benefits can be significant.